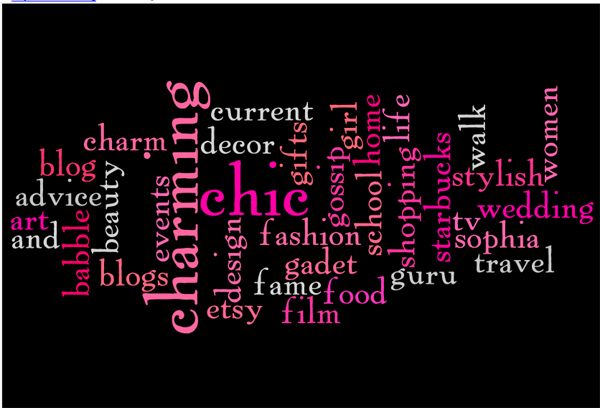 The Chic and Charming technocrati word cloud, as generated by wordle.net. Isn't it cute? I discovered wordle via my new twitter friend Kris Colvin. This would make a fabulous print for the wall! That would look so cute in a frame! With a white border frame! so fab.